I present the MINIX NEO N42C-4 mini PC that replaces the previous MINIX NEO Z83-4. 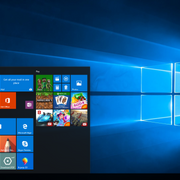 This device is intended to be used as desktop computer, point of sale or for the control of digital signage that can be used in corporate or industrial networks thanks to its Windows 10 Pro license. As a central core we have the Intel Pentium N4200 processor, we have three outputs of video, a USB Type-C port that allows to power it electrically and it is also expandable in storage and RAM DDR3L in Dual Channel configuration. Let’s see how this hardware behaves. 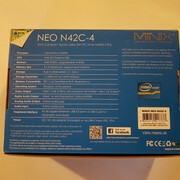 The MINIX NEO N42C-4 mini PC comes in a cardboard box with the image of the model in the foreground and the main specifications, in the upper part we have the mini PC, in a separate compartment we have the power adapter of 12V 2.5A with the adapter of our region, we also have the VESA support with its screws and a manual of first steps. 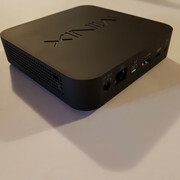 As we see the mini PC MINIX NEO N42C-4 is made entirely in plastic with the classic lines of design of this brand, on the front we only have a small status LED that lights up in blue. In one of the sides we find the Kensington lock and a hole where we can access the BIOS reset externally, something useful if the unit has a problem that can be solved by this method. On the opposite side we find three USB 3.0 Type-A ports and the power button that we must press to turn on the device unless we change it from the BIOS and turn on automatically. 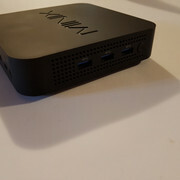 In the back we find the rest of the connectors, 12V DC-IN port, Gigabit Ethernet, mini port DisplayPort 1.2 that allows us [email protected] video (requires active converter to HDMI), HDMI 1.4 connector up to [email protected], a USB port 3.1 Type-C only for power and finally an audio jack with integrated SPDIF output that can be used with the included adapter. 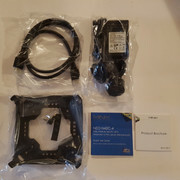 Along with the MINIX NEO N42C-4 we found included a VESA support that allows to disassemble the mini PC in a very simple way from its anchor point without screws, all the ports are accessible with this design. Removing the screws that are hidden under the rubber feet and we have access to the motherboard, in the foreground we find the two SODIMM DDR3L slots with a 4GB module already mounted, next we have the M.2 Wifi module and another M.2 slot available to mount a disc compatible lengths of 2260 and 2280. 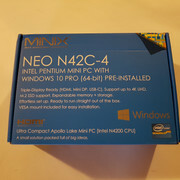 The MINIX NEO N42C-4 mini PC has a generally correct performance, it is also something that depends on the amount of RAM installed and the use we give it, if we are going to surf intensively it is better to expand the memory with another 4GB SODIMM and work with 8GB of RAM on Dual Channel setup. The Intel Pentium N4200 processor has a good response and the ventilation system is not noisy which makes the use of this device pleasant. 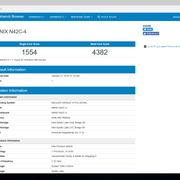 As a central core in the MINIX NEO N42C-4 mini PC we have the Intel Pentium N4200 quad-core processor manufactured at 14nm working at a speed of 1.1 GHz and a turbo mode of 2.5 GHz, with a consumption of 6 W TPD. 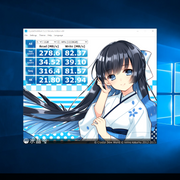 Integrated into the processor we have an Intel HD Graphics 505 GPU with 18 EU (execution engines) that allows us to play basic 3D games. 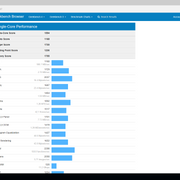 Inside the MINIX NEO N42C-4 we found installed by default 4 GB of RAM memory LPDDR3 to 1600 MHz configured in Single Channel, the figures we have are correct for that speed, as we will see we improve these figures if we mount memory to 1866 MHz in Dual Channel. 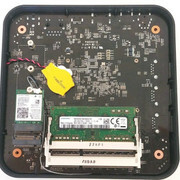 Soldered to the MINPC NEO N42C-4 miniPC board we have an internal memory of 32 GB eMMC 5.1 that defends well when using the system. 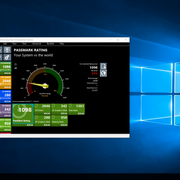 If we want it is possible to improve the overall performance by installing another M.2 drive with better figures but this is optional. 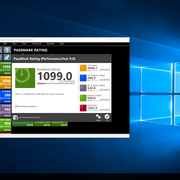 On the rear USB 3.0 Type-C (5Gbps Max.) 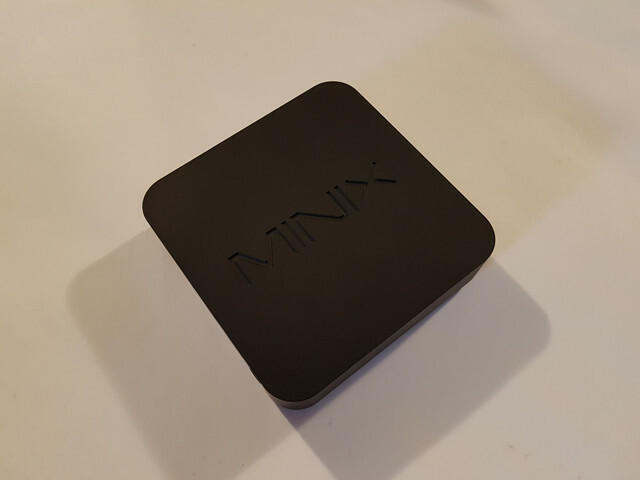 corrector we can connect a USB Type-C to HDMI adapter without problems but we do not have audio, we also get Gigabit Ethernet speed without problems through a HUB with this connection, you can see these products in the review of the new MINIX USB Type-C adapters. This mini PC is a good option to connect up to three screens at a time. 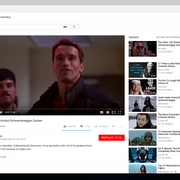 In addition this USB 3.0 Type-C port supports power connection with what we can have with a single cable to our monitor, which greatly simplifies our desktop. 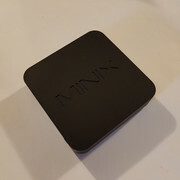 We ran our tests to check the network performance on the MINIX NEO N42C-4 mini PC, we found that for the wireless connection we have an Intel Dual Band Wireless-AC 3165 chip that also integrates the 4.0 Bluetooth adapter. 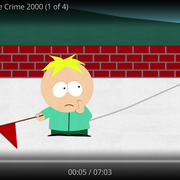 With this Wi-Fi chip we get a speed of 46 Mbps in the 2,4 GHz band and 64 Mbps in the 5 GHz band. 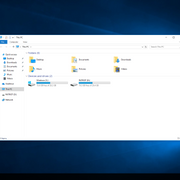 The Realtek Gigabit Ethernet connector gives us results of 667 Mbps, which are good figures to transfer files in Windows networks. The Wi-Fi coverage is correct thanks to the two internal antennas assembled in this model. 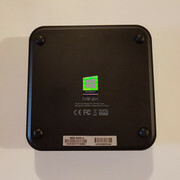 This device also have Bluetooth 4.1 connectivity with which we have no major problems when it comes to detecting other devices in general.